-Dedicated Mortal Kombat 1 arcade cabinet in unique restored condition. -euro coin input or freeplay. -comes with locks and keys. -2 piece available…be fast and pick the one you like the most.. I bet you want to sold between 800-1000 by unit. When you can find the exact same cab for less than 500.. Putting an add with no price is the scammer way. if you do not have the knowledge of restauration and condition of materials do not inform people with incorrect information. You do nothing for the community,you just come here to sell your crap to newbie. Go to another forum please. Ok this was rude. I apology. I dont like when seller dont put price on there add. You cant make estimation of other similar cabs. And the deal dont look clear. Anyway that's what i think. I’m proud to tell you that we gave those 2 old arcade cabinets a 2nd life…fully disassembled and reassembled the cabinet. almost 40hour of work per piece. The buyer will be very satisfied to see the cabinet he played for almost 20 years ago in a condition like it was when they came in. I hope he is NOT a newbie but a person who can appreciate the item to real value. People reading this will understand this, that I’m sure of… and remember: if the shape, condition or the restored condition in general is not necessary you indeed do not need to buy those pieces… (for newbies). Really sad to hear that but I’m sure other people are far more wise and respectful about those topics. indeed no price..for those items I prefer to talk about it rather than putting 2 lines of text and price...you really need to know the background of the item and see it's condition. I buy a lot of those items (not only belgium)... a lot of work to make it to this condition and never did a resell without putting all the work in it. Indeed I'm hearing that for allmost 5 years now. Check the red.... It is red!!! Always exceptions for collectables and collectables you have in Every gengre of objects. You can talk for hours on matter. it is not that easy beleve me ;-) 80% is not working. failing monitor, no pcb, converted jamma pinout to multigame, failing power supply, distorted image. I know what it is you're doing a good job and I respect you for all that time you spent refurbishing your cab! - The only way to solve "No pcb" is by spending time on Arcade worldwide forum / ebay( usa in particular for midway's ... ). By the way you should take a look at system16 to learn how to convert midway's game into another one ( NBA JMA to MK ). - For the jamma loom your best friend is the china , you could find it for less than 20e . Anyway , Keep doing your job cause you're doing well. 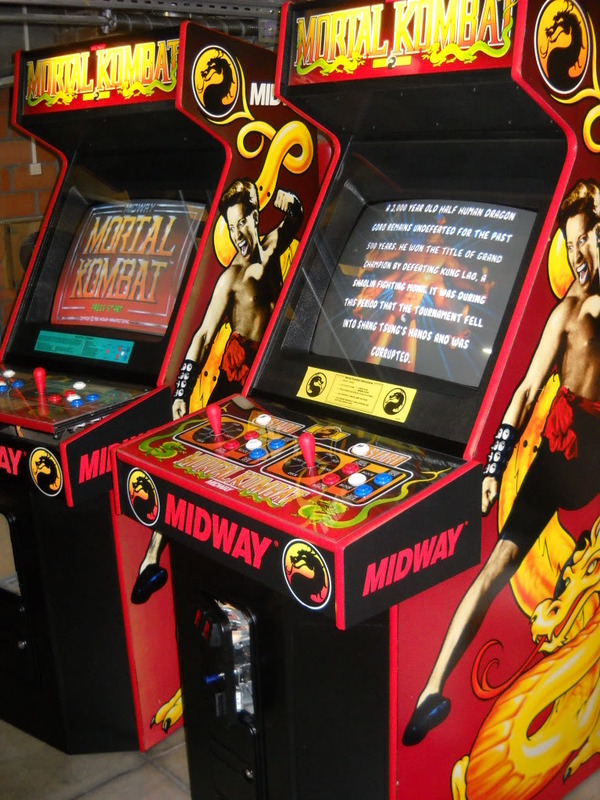 If you're looking for some midway's pcb ( include soundboard ) , I have a mortal Kombat fanatic friend , he has spare. i know Maarten a few Years, the job that he does with the MK's and KI's is Amazing! a lot of new parts, lot of work and time, and much more! Maarten is a good guy and the stuff that he Sells is good!